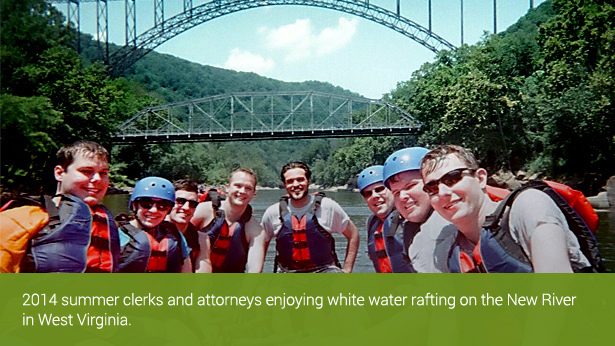 "The most impressive part of my summer clerkship is that every Bowles Rice attorney took a genuine interest in me having a productive, educational and enjoyable experience. I was given the opportunity to research many nuanced areas of the law, to observe litigation in action at hearings and conferences, and to practice real-world applications of drafting deeds, wills, leases and answers to complaints. 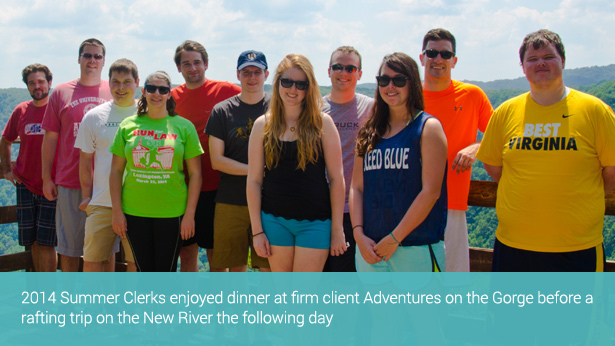 I've been amazed at the personal connections made with a wide range of attorneys and staff at the firm, the many team-building experiences with all the summer clerks and the in-depth opportunities for growth and learning." "The Bowles Rice summer clerkship taught me that mastering the mechanics of practicing law is only part of a successful career in law. Excelling in professional relationship building is another critical component of career building, and one that you don't see in law school. This is how the Bowles Rice community sets itself apart from its peers." 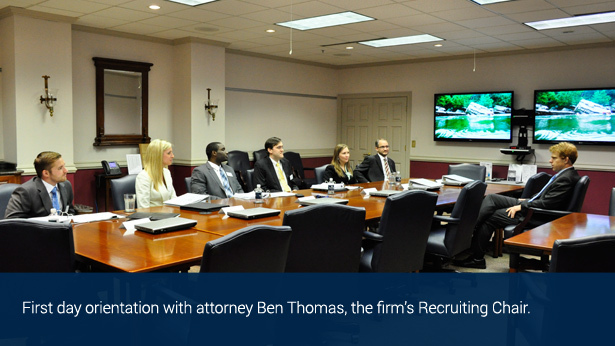 "I wholeheartedly recommend Bowles Rice to other law students because the firm is very invested in the success of its summer clerks. Many attorneys have spent a significant amount of time mentoring me, giving me opportunities to learn and answering my questions. 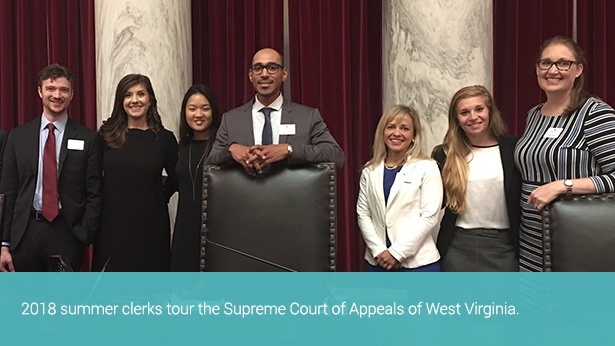 Bowles Rice crafts the summer clerk program so that students get both an exposure to a wide variety of types of law and also a chance to work on projects in one's specific legal area of interest." 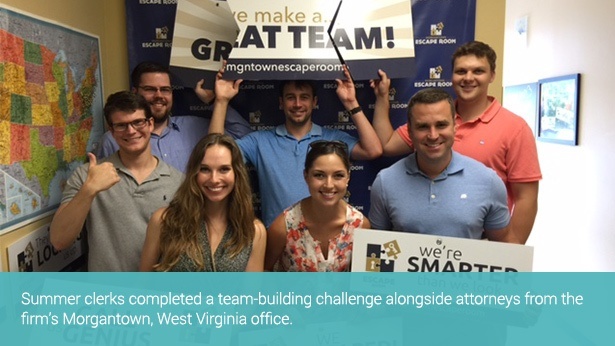 "My second summer clerkship at Bowles Rice was even better than I could have imagined. I gained even more knowledge from the projects I worked on, and was able to connect with so many different people. My experience at the firm has been invaluable and I am very grateful that I had the opportunity to work with so many accomplished, kind people." 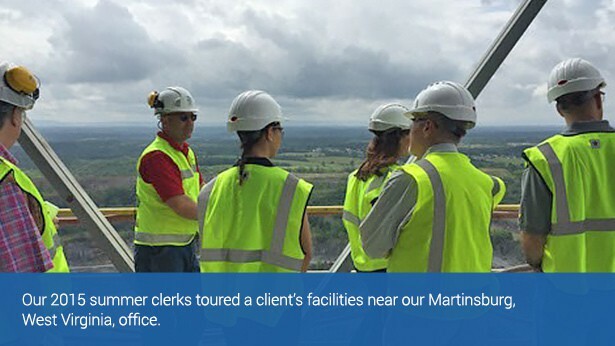 "The best part of the Bowles Rice summer clerkship program is how it mentors each clerk on an individual level. Everyone here is so friendly and genuinely wants to help you find your niche in the legal field. Because of this, I was able to work on assignments that were purposefully geared to my areas of interest and I gained a practical understanding of what I can expect as a future attorney. I am very grateful for this opportunity." The Bowles Rice Summer Clerk Program is designed to provide a realistic, informative and well-balanced experience that provides each of our participants with a full picture of our firm, our practice areas and the quality of life in the cities in which we live and work. 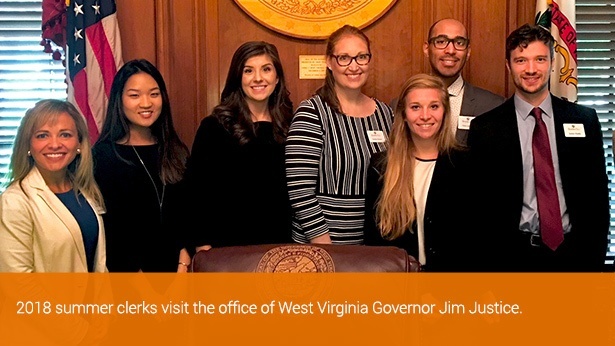 The program also gives the firm an opportunity to get to know and evaluate each summer clerk as a potential associate upon his or her law school graduation. We recognize that our clerks come to Bowles Rice with varying degrees of experience or knowledge of how a law firm operates, and with a wide range of professional expectations. 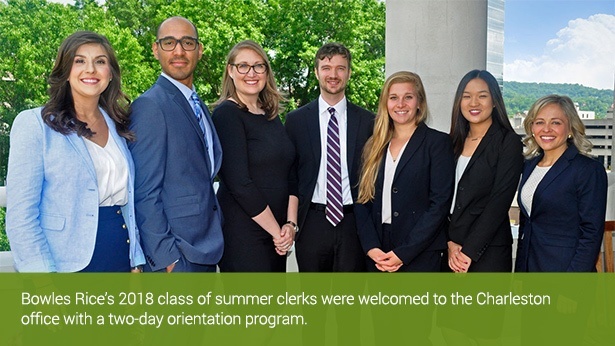 Our kick-off orientation program gives our new and returning clerks a clear understanding of what to expect and introduces them to the lawyers, staff and other students with whom they will be working. 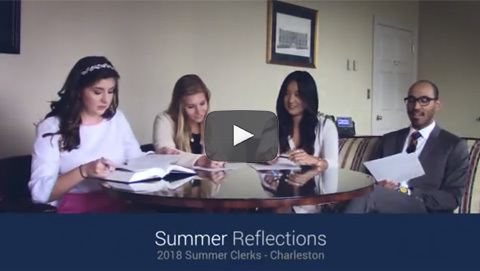 Each summer clerk is paired with a Bowles Rice lawyer as a mentor, to ensure that the clerk has the opportunity to participate in all aspects of the summer program and receives a well-rounded experience. Their mentor is the summer clerk's principal contact for general firm matters and questions. Our summer clerks are not assigned to a particular department. 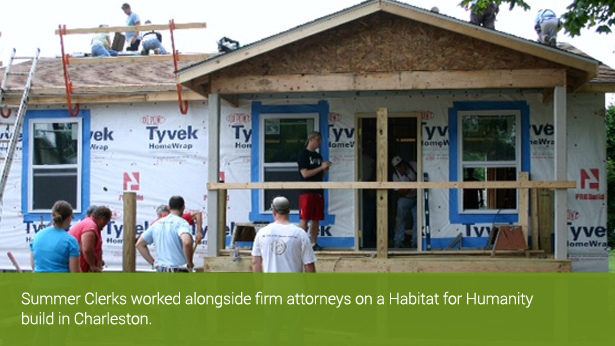 Instead, projects are assigned by a team of lawyers who strive to provide each clerk with work and practical experience in as many practice areas and with as many attorneys as possible. This includes not only research and drafting assignments, but also participation in meetings, closings, depositions and observation of trials. Clerks are provided with feedback on their projects, so that there is a complete learning experience during their stay. Summer clerks from all Bowles Rice offices come together to participate in weekly meetings with the use of our video conferencing technology. 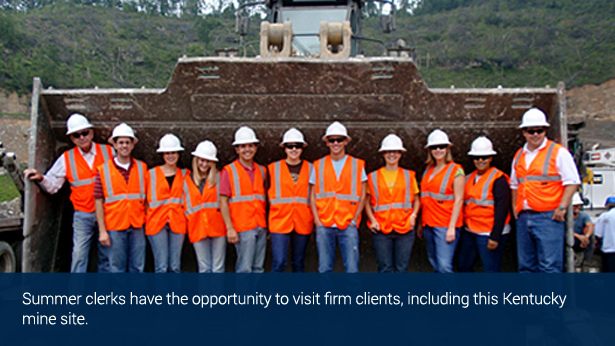 As a group, they also visit two or three of the firm's offices during the summer. This provides additional opportunities for them to interact with lawyers, learn about the firm's practice areas and clients in our different offices and have some fun. That's right – fun! We believe it is important for our clerks to get to know us, and each other, on a more personal level, and we plan a full complement of social activities (such as a whitewater rafting trip, firm-wide parties, baseball games, small dinners at attorneys' homes, organized and unorganized athletics, and other informal gatherings) to encourage such interaction. 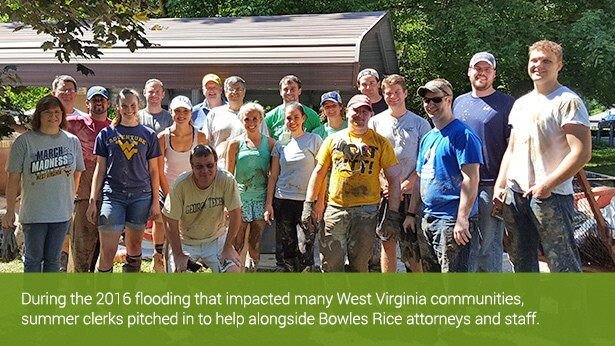 In short, our goal is to create an experience for each of our summer clerks that is informative, enjoyable and provides a perspective on the practice of law at Bowles Rice that we believe compares favorably with any other firm, anywhere.